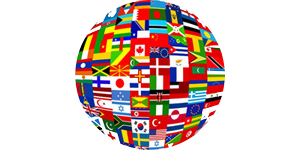 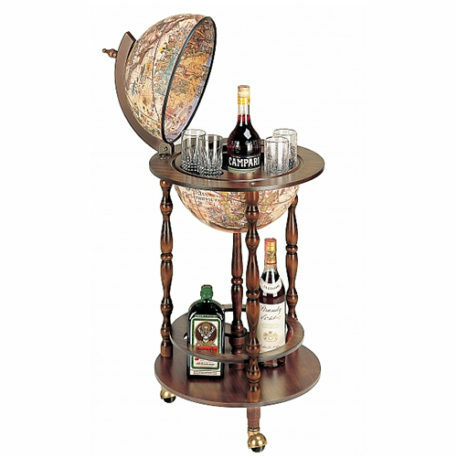 The most bar globes are decorated with a nice blue or brown globe. 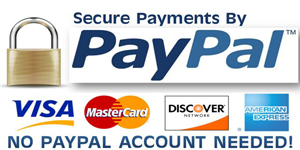 They are pretty nice, but maybe you are looking for something special? 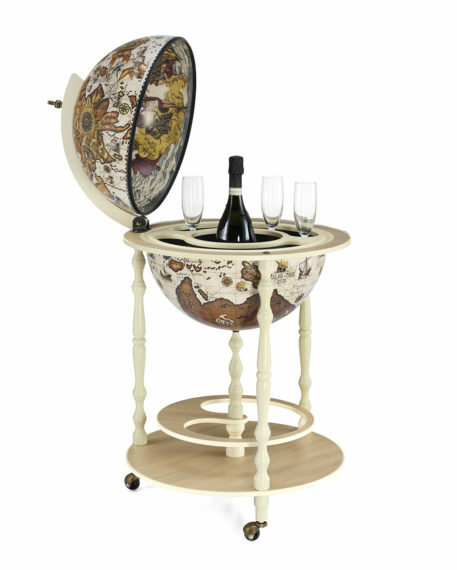 The Bar globe Allegro is what you want. 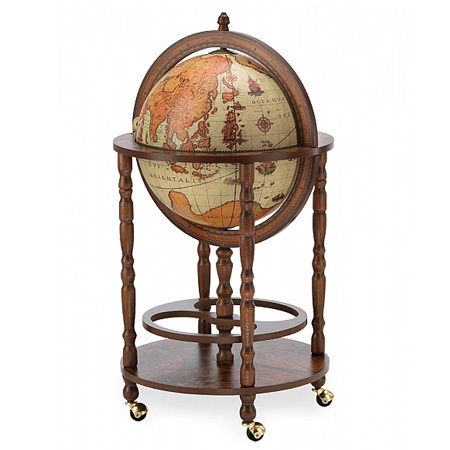 This bar globe has a vintage style and is made of real wood. 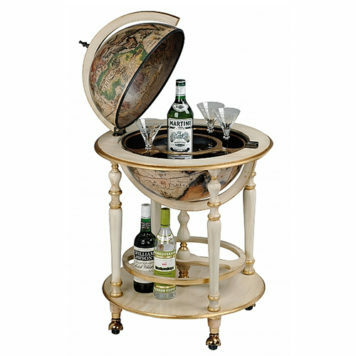 The globe itself houses a nice drinks cabinet. 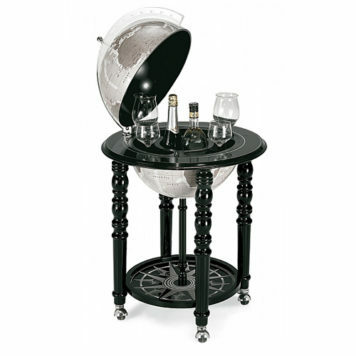 On the bottom part you will discover a large shelf for storing more bottles. 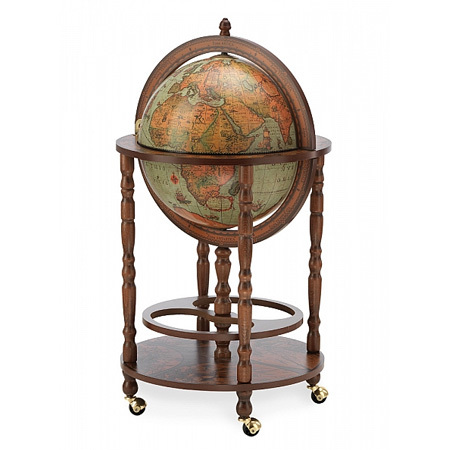 Due to the wheels, it is easy to move the Bar globe Allegro.